As you may know, Guerrilla Translation is launching a groundbreaking new project very much inspired by the P2P Foundation’s mantra of “What is light is global, what is heavy is local”, also present in our ongoing “Design Global/Manufacture Local” research project. We’re launching a new kind of publishing network, with a team of P2P/commons publishers in Europe and Latin America. The idea here is to “think global” – create a book translation and release a free e-book – and “print local” – support small, local printers and publishers, and avoid environmentally destructive long-distance shipping. This project is being crowdfunded with our friends at Goteo. An extract of the crowdfund text is reproduced below but please click here to read the full text, see the rewards and contribute to this project. Think global – print local. We’re a consortium of commoners in Latin America and Spain taking action towards a new model of publishing and distribution. Our group includes P2P-minded translators and copyleft publishers starting a new process for translating, publishing and distributing books in a decentralized way that also reduces or eliminates expensive, wasteful long-distance shipping. Our team’s plan, with the help of this crowdfund, is to translate a specially selected book into Spanish. Its content will be made freely available online and its message will be materialized locally through small scale printing and distribution in several locations: Spain, Peru, Argentina and Mexico, with more nodes to come. The book we have chosen to translate and follow our model is David Bollier’s popular Think Like a Commoner. This book explores the rich history and promising future of the commons — a self organizing social system for the stewardship and enrichment of our collective wealth. By thinking as commoners, we open ourselves to the process of commoning, crystallizing actions and reimagining systems in order to empower collaboration and community benefit. Using David Bollier’s Think Like a Commoner: A Short Introduction to the Life of the Commons as a first prototype, we want to pioneer a new mode of artisanal, decentralized text translation and international book distribution and publishing. This model makes the best use of the digital knowledge commons by freely offering the translated text online while printing and distributing hard-copy books at the local level through nodes in various locations. In this way we avoid centralized production and environmentally unsustainable international shipping. Production and labor costs for translation, design, formatting and manufacturing will be covered by the crowdfund. Work will be performed globally and locally, as appropriate, by the consortium of: Guerrilla Translation (Spain, Portugal and Argentina); Traficantes de Sueños (Spain), Tinta Limón (Argentina), La Libre (Perú), SurSiendo (México). This is a very important campaign for commoners worldwide, and not only in the Spanish-speaking world. It will help build bridges across languages and cultures, and enable concrete, material commoning practices. For this reason, we urge our English-speaking and indeed all multi-lingual friends to join us in supporting this groundbreaking effort. 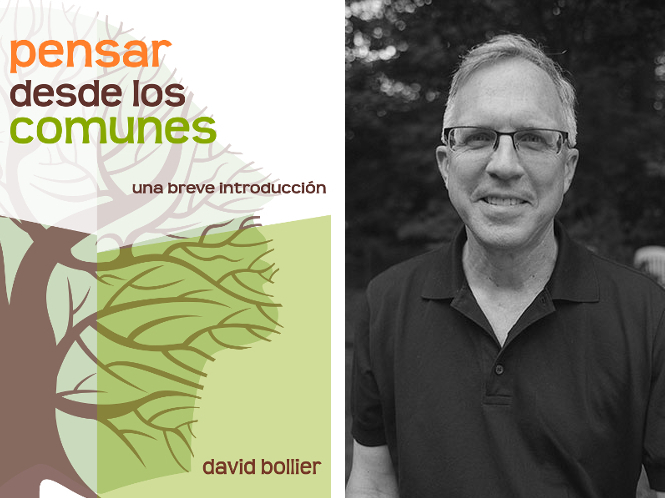 In the cultural aspect it will amplify and enrich the conversation on the commons in Spanish-speaking countries through the translation of David Bollier’s book. 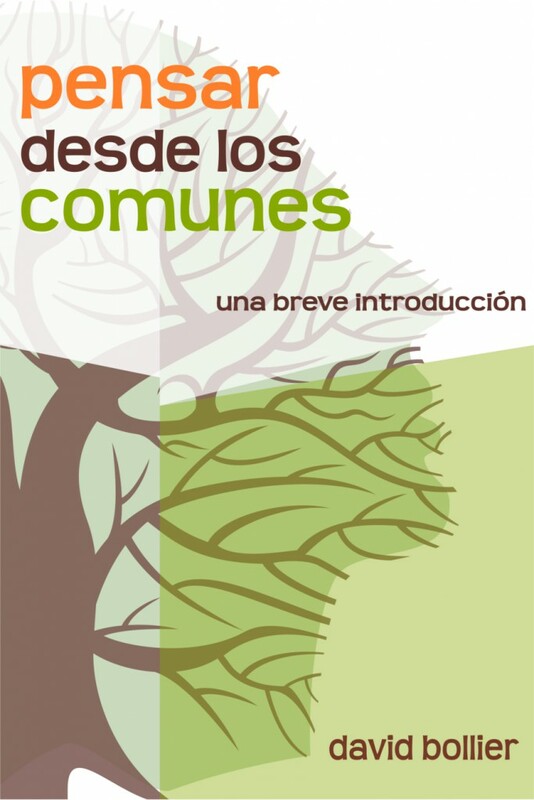 There are more than 400 million native speakers of Spanish worldwide; with this project, Spanish speakers can read and share what is possibly the best introduction to the Commons in book form. Notably, many of the traditions and innovations of the Commons are taking place in Spanish-speaking communities, where Latin American cultures have a rich history of commoning. In order to bolster commoning as challenge to the standard narrative of market economics and defend our shared wealth from enclosure, we must create new relations and structures of production. We are proposing this nascent distributed physical production network, and are initiating it through this project. A successful campaign will allow us to ‘learn by doing’, and repeat the experience with new books and texts in the future. We also want to find other partners, and to help create similar localized networks for book publishing in other languages. The first goal is to enable the translation Think Like a Commoner into Spanish, with the time and dedication of a group of translators who are familiar with the commons and the linguistic idiosyncrasies of its terminologies in both English and Spanish. The campaign will also support the simultaneous publication of the book in four distinct manufacturing and distribution locations, through the work of commons-oriented small publishers and a globally-available e-book. These communities will host events focused both on the commons in general as well as the book itself, grounding and developing the book’s theme. This campaign is a pilot project for an expanded, transnational publishing network which is commons-oriented in content, as well as practice. The consortium presently includes a P2P translation collective and four commons-oriented publishers/book shops. Guerrilla Translation (Translation, editing and project coordination/Transnational) is a P2P translation collective and cooperative founded in Spain, whose members love to translate and share knowledge about the commons, P2P, and the socio-environmental issues affecting us today. Traficantes de Sueños (Formatting and editing, publishing, distribution/Madrid, Spain) is critical and committed publishing project mapping the lines that constitute other orders of life and creating theoretical and practical tool kits for the coming decades. Committed to free access to knowledge, Traficantes publish all their texts with open licenses that allow anyone to copy, download and distribute them. Sursiendo (Book design, publishing, distribution/Chiapas, México) is a research collective dedicated to the collective building of knowledge for a more a more tolerant, inclusive world and its embodiment through shared actions. Focused on activism, communication, design, education, art and cultural management, they operate from a gender based and commons-oriented perspective. La Libre de Barranco (Campaign Video, Publishing, Distribution/Lima, Peru) is an independent bookshop and library featuring independent Peruvian literature, the classics, poetry and photography. Dedicated to alternative means of sharing culture, La Libre educates on and shares knowledge under open licenses. Tinta Limón (Publishing, Distribution/Buenos Aires, Argentina) is a self-managed editorial collective. Tinta Limón translates as “Lemon ink”, a steganography technique used in clandestine writings. Their collective recaptures this clandestine spirit by avoiding the obvious and steering their thoughts towards the everyday practice of coalescing constructive experiences.